Godly thriving leaders are precious and valuable, but developing those leaders is not easy. Many leaders feel stuck, tired and frustrated in their growth and calling. This can change. 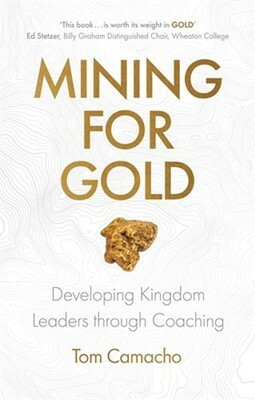 In Mining for Gold, pastor and master-coach, Tom Camacho, offers a fresh perspective on how to draw out the best in ourselves and in those around us. Cutting through the complexity and challenges of leadership development, he gives us practical and effective tools to help leaders grow personally and develop those around them. Coaching, through the power of the Holy Spirit, provides the clarity and momentum we need to grow. When we get clarity, everything changes. Coaching helps us better understand our identity in Christ, our God-given wiring, and how we naturally bear the most fruit. There is gold in God’s people, waiting to be discovered. Let’s learn to draw out that treasure and help others flourish in their life and leadership.